Mississippi goes to the polls again on Tuesday to vote in a special election in the U.S. Senate race. Republican Sen. Cindy Hyde-Smith, who was appointed earlier this year by Gov. Phil Bryant when Sen. Thad Cochran stepped down, has the chance to become the first woman elected to the Senate from Mississippi. 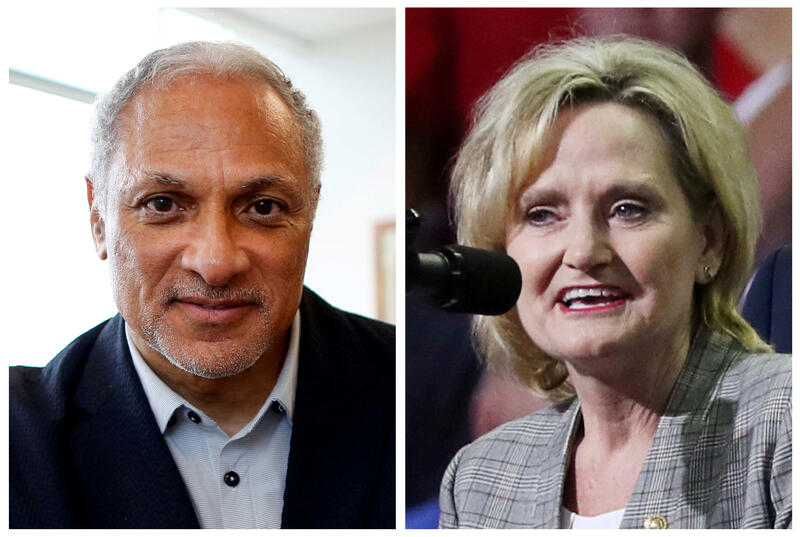 Hyde-Smith is facing off against Democrat Mike Espy, a former congressman and Clinton official who could be the first black man elected to the Senate in the state since Reconstruction. Although President Trump won Mississippi by nearly 18 points, Hyde-Smith is vulnerable, thanks to the popularity of Espy and her own gaffes. CBS News rates this race as leaning Republican. Should Hyde-Smith win, the GOP will have a Senate majority of 53-47. Cindy Hyde-Smith is the former agricultural commissioner of Mississippi. Before being elected to that position in 2011, she served in the Mississippi state Senate as a Democrat. She changed her party affiliation to Republican in 2010, a reflection of the fact that the Democratic party was growing more liberal and the GOP, she felt, better represented her conservative values. Mike Espy was a congressman in Mississippi before Bill Clinton tapped him to be agriculture secretary, and he was the first African-American to hold that position. Hyde-Smith and Espy advanced to the runoff election on Nov. 27 because neither won 50 percent of the vote in the general election on Nov. 6. Hyde-Smith won 41.2 percent, compared to Espy's 40.8 percent of the vote. Republican Chris McDaniel picked up 16.5 percent. Both Hyde-Smith and Espy have been subject to controversy. While he was agriculture secretary, Espy was forced to resign from the Clinton administration when questions were raised about whether he had received improper gifts. He was later indicted but ultimately acquitted on all charges. Espy has also been criticized by Hyde-Smith's campaign for misstating the payment he collected from a 2011 $750,000 lobbying contract with Ivory Coast ex-President Laurent Gbagbo. Earlier this month, Fox News reported on the disparity between what Espy said he was paid -- $400,000 -- and the full $750,000 payment he received, which was disclosed in a Justice Department document. Hyde-Smith's campaign controversies have been more racially charged. Earlier this month, the publisher of a liberal-leaning news site posted video on Twitter showing Hyde-Smith praising a supporter by saying, "If he invited me to a public hanging, I'd be on the front row." Hyde-Smith and her campaign initially dismissed the comment as a bad joke. Later, during the only debate between Hyde-Smith and Espy during the campaign, she apologized "to anyone who was offended," but said that her comments had been turned into "a political weapon to be used against me." The same journalist then posted another video, one showing Hyde-Smith discussing "liberal folks" and making it "just a little more difficult" for them to vote, which she and her campaign also dismissed as a joke. Hyde-Smith's comments have had repercussions. Walmart, the nation's largest retail chain, asked the Hyde-Smith campaign to refund a total of $4,000 in campaign donations, and over the weekend, Major League Baseball also asked her to return a recent donation. On Saturday, The Jackson Free Press revealed that Hyde-Smith attended a school founded to prevent racial integration as a child and as an adult, she enrolled her daughter at Brookhaven Academy, also a private segregation school. CBS News and other reporters on Sunday asked Hyde-Smith for comment on these recent reports. Hyde-Smith declined to answer any of the questions, instead slipping into her car and proceeding to a private event. Mr. Trump has been very supportive of Hyde-Smith, supporting her over McDaniel. He is appearing at two rallies in Mississippi on Monday to boost her Senate bid, one in Tupelo and another in Biloxi. Mr. Trump told reporters on Tuesday that Hyde-Smith is a "spectacular woman" who "feels very badly" about the comments she made. Mr. Trump has a mixed record with his endorsements in this midterm season. His endorsed Senate candidates in Nevada, Arizona, Montana, Ohio, Pennsylvania and West Virginia all lost their elections on Nov. 6. Although Hyde-Smith is the favorite in the race, there are some factors that could work in Espy's favor. Mississippi has a sizable black population, which comprises nearly 40 percent of the population as a whole. If Espy is able to convince huge numbers of black voters to turn out -- much as they did in Alabama for Doug Jones' special election last year -- it would boost his chances of unseating Hyde-Smith.